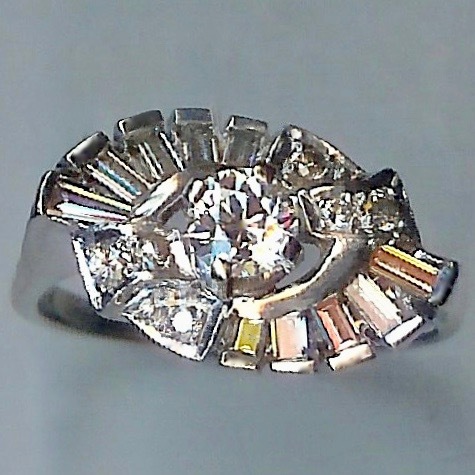 Truly Beautiful Vintage 1.00ct Diamond Ring. [SH8095] - £3,250.00 : loveVintageDiamonds.com, Your Vintage Diamond Dreams Come True! 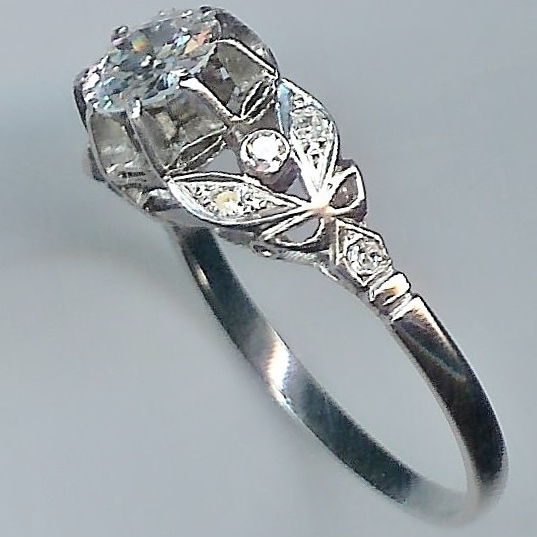 Notify me of updates to Truly Beautiful Vintage 1.00ct Diamond Ring. 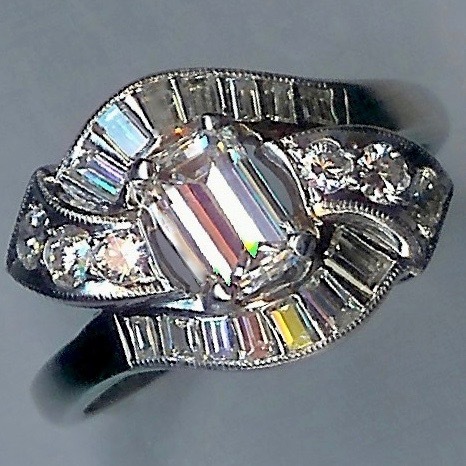 Truly Beautiful Vintage 1.00ct Diamond Ring. 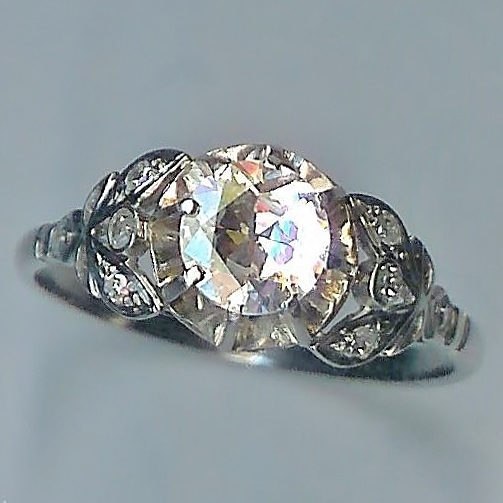 Truly Beautiful Vintage 1.00ct Diamond Ring. c.1920s. 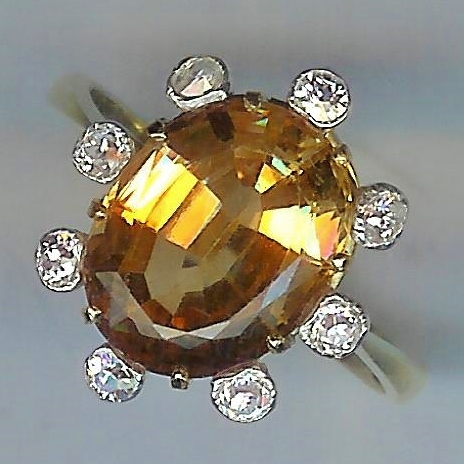 The centre stone of this ring is an approx. 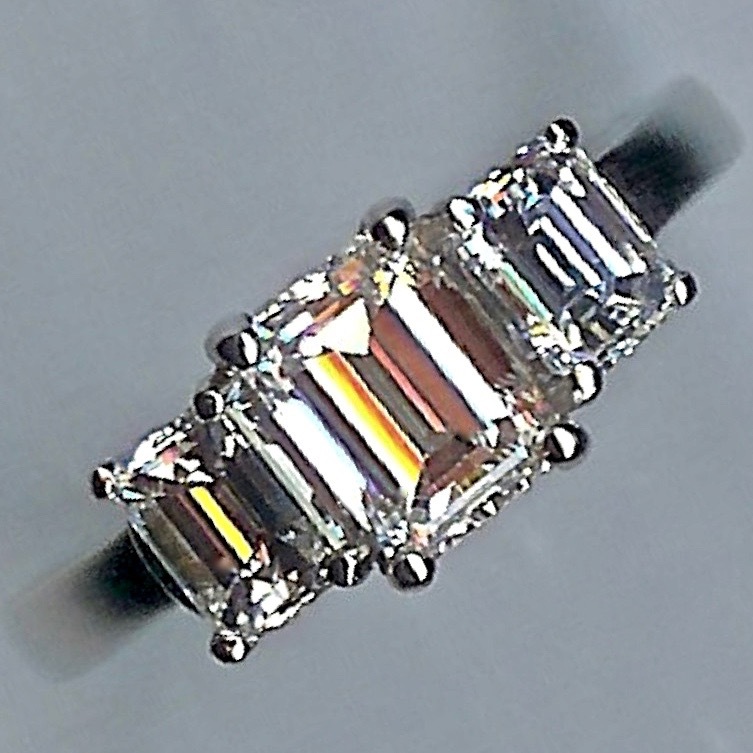 1.00ct rose-cut diamond and is set high in an eight-claw mount with a fancy under-bezel. The diamond-set shoulders are fashioned with a butterfly detail, each shoulder set with four further eight-cut diamonds, adding approx. 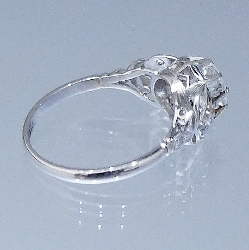 0.16cts diamond weight to the piece. All white, the shank is marked 'PLAT' and tests as platinum throughout. Presently size 'P' (UK).